New HDR-capable UltraHD projector offers "Sports Modes" that preserve skin tone while enhancing green fields or wooden courts; dedicated sound modes enhance color commentary and accentuate referee whistles and sneaker squeaks. 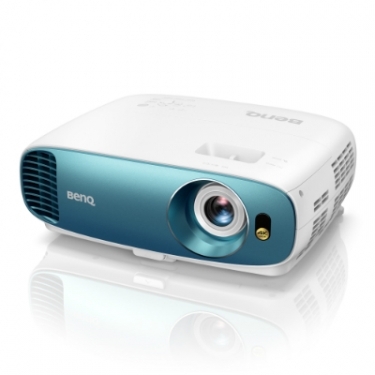 The new BenQ TK800 4K UltraHD projector with HDR support ($1,500) offers "Sports Modes" that preserve skin tone while enhancing green fields or wooden courts, and clarify sporting sounds like commentary, referee whistles and squeaking sneakers. BenQ's new TK800 4K DLP is a "home entertainment projector for sports fans," the company says. 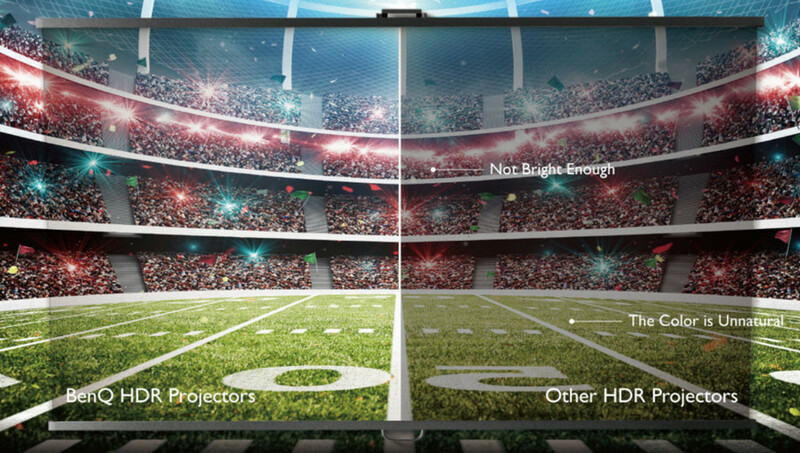 The HDR-capable UltraHD projector ($1,500 MSRP) can produce 3,000 lumens of brightness, making it ideal for open spaces where sports buffs might gather, either indoors our out. With TI's 0.47-inch single-DMD DLP system and XPR pixel-switching technology, the TK800 can produce 8.3 million distinct pixels for each frame, according to BenQ. And the manufacturer claims its new home-grown 4K color wheel achieves 92% of Rec. 709 color space, with "nanometer-level precision pure color coatings and ultra 120Hz refresh rate to eliminate image blur ...."
While these specs suggest the TK800 would work well for any home-entertainment need, the company adds some special sauce that "fully captures the excitement and thrill" of sporting events. The projector's general-purpose sports mode "prioritizes realistic skin tones, while enhancing wood tones, vivid reds and balanced greens and blues," for action on a wooden court, BenQ says. The setting also "ccentuates the announcer's commentary and clear acoustic details of squeaking sneakers, referee whistles, and scraping skates in an indoor arena." A more finely tuned football mode "preserves natural skin tones, while intensifying lush grass," BenQ explains, "and football sound mode clarifies the announcer's every comment even as you're immersed in the cheering crowd in the open-air stadium atmosphere." If the TK800 stands alone, without a connected sound system -- perhaps outside at a tailgating party -- BenQ's built-in CinemaMaster Audio+2 delivers "delicate details, pure vocals, and resounding bass," the company says. The 5-watt system is upgraded with "dramatically wider frequency range" from earlier models, and BenQ says it offers "exclusive EQ algorithms for pure clarity and sensual sound quality as used by Hollywood studios." The TK800 includes a 1.2x zoom and automatic keystone correction.